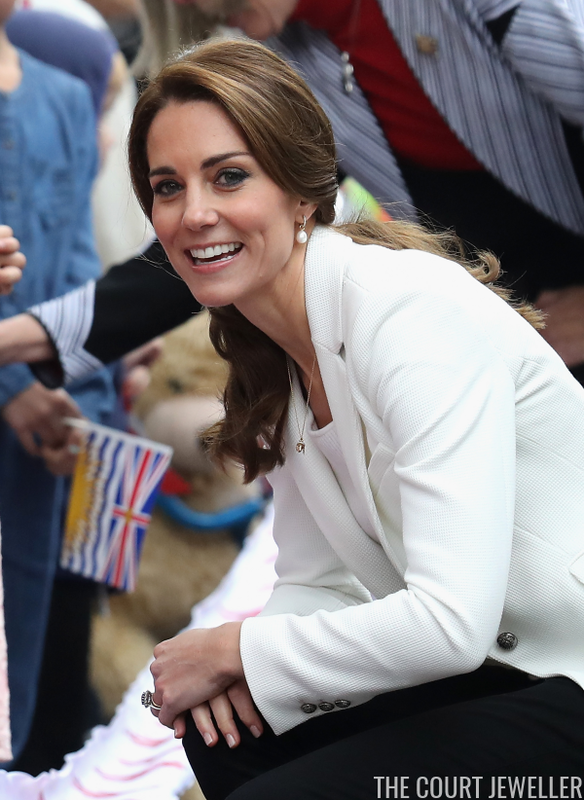 For her final daytime engagements of the tour of western Canada, the Duchess of Cambridge wore several pieces of familiar jewelry -- including a necklace! Kate donned her Annoushka pearl drops with her white gold and diamond Kiki McDonough hoop earrings for the second time on this royal tour. 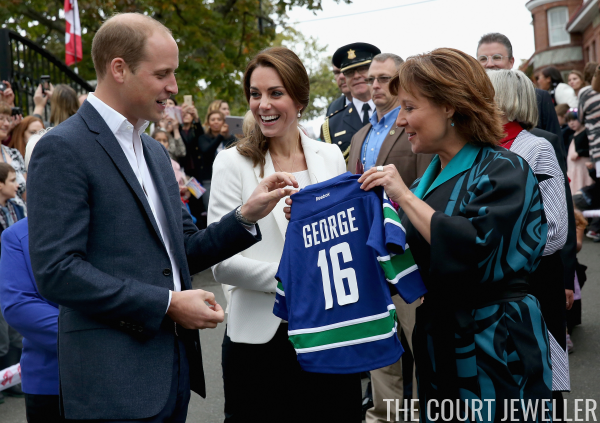 She wore them earlier in the week during the Cambridges' visit to Whitehorse. More exciting for our purposes: Kate also wore a necklace! The piece is from Asprey's Woodland collection, and it features three charms -- a mushroom, an oak leaf, and an acorn. (Both the oak leaf and the acorn are important symbols for the Middleton family.) 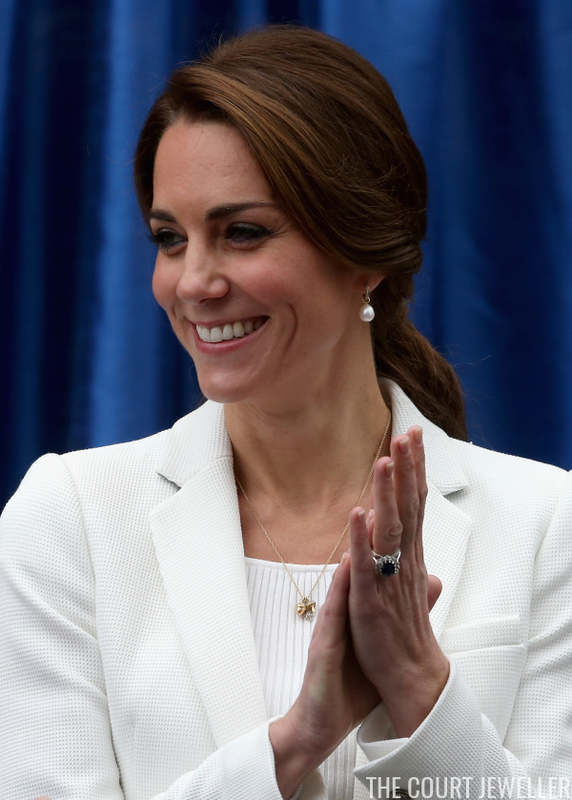 Kate debuted this necklace during the 2014 tour of Australia. And, as you can see, Kate's also wearing her usual combo of rings.